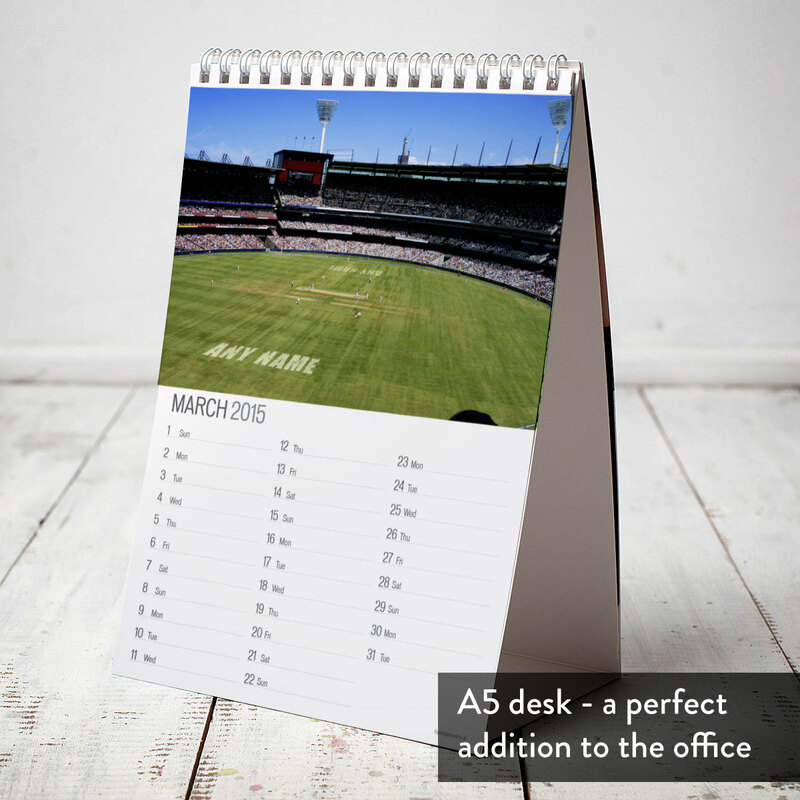 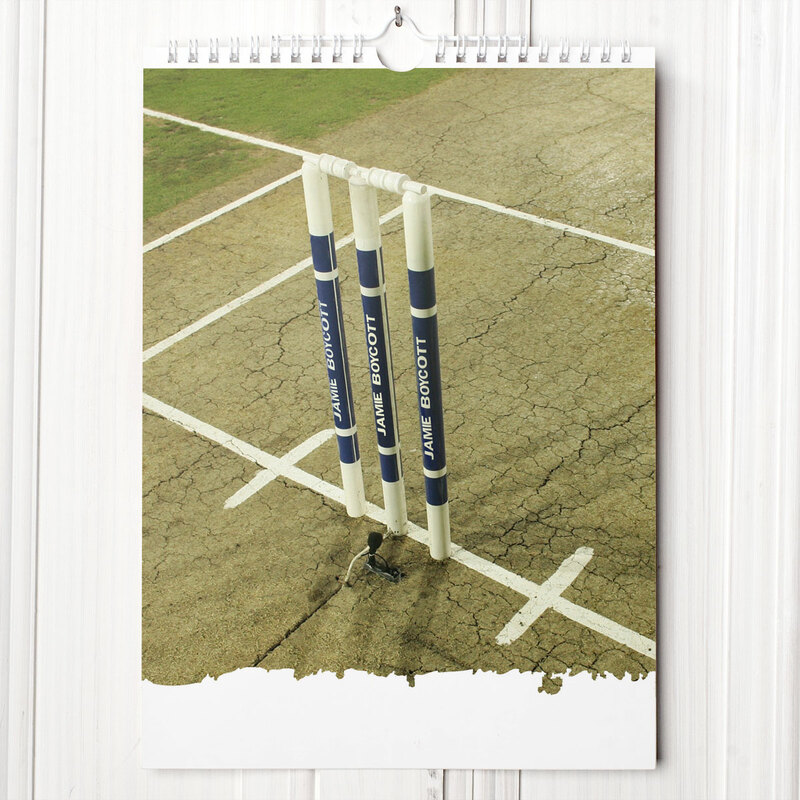 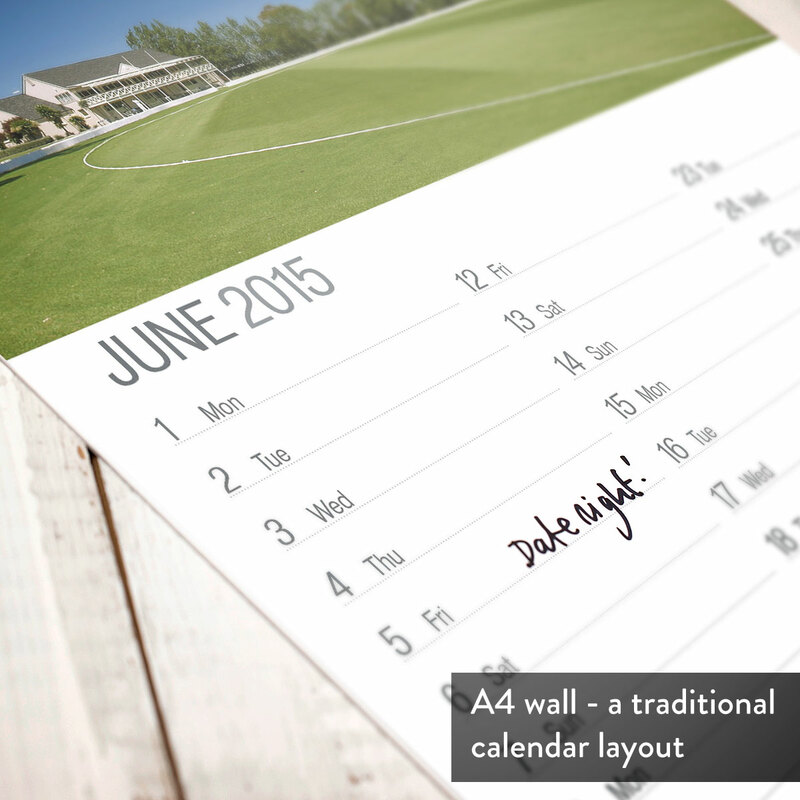 A Cricket themed Calendar with their name spelt out in 12 exclusive images, one for each month! 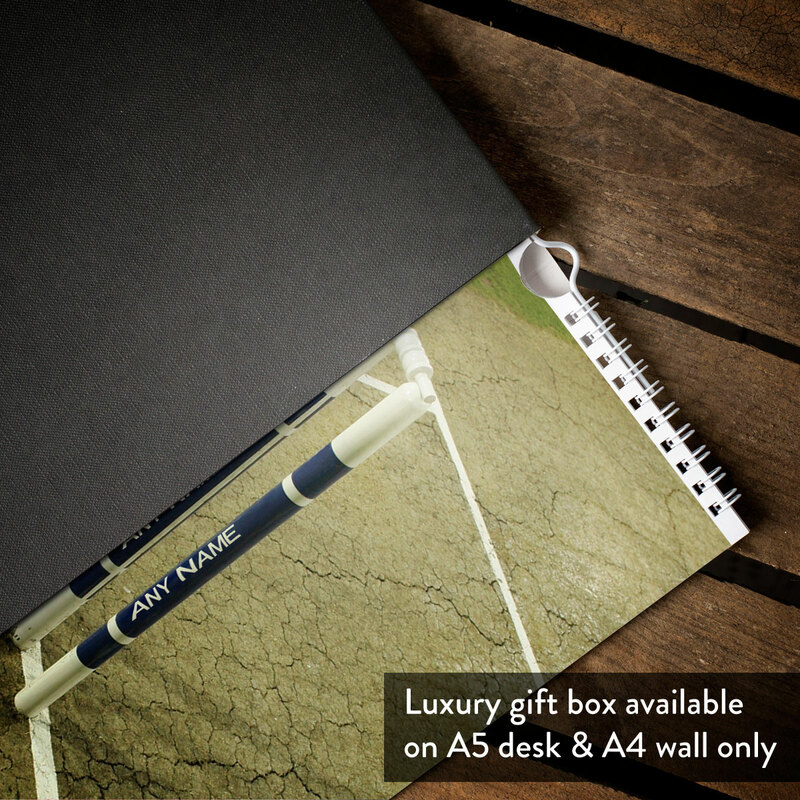 A truly stunning gift that will bowl over any cricket fan. 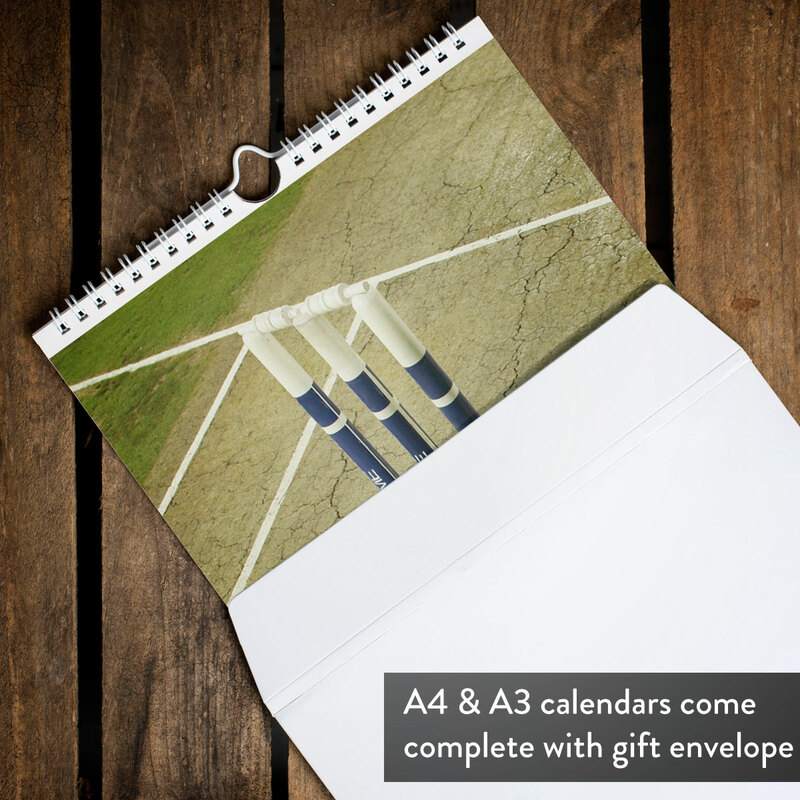 Simply give us any name and we will produce a Personalised Calendar with 12 full colour images. 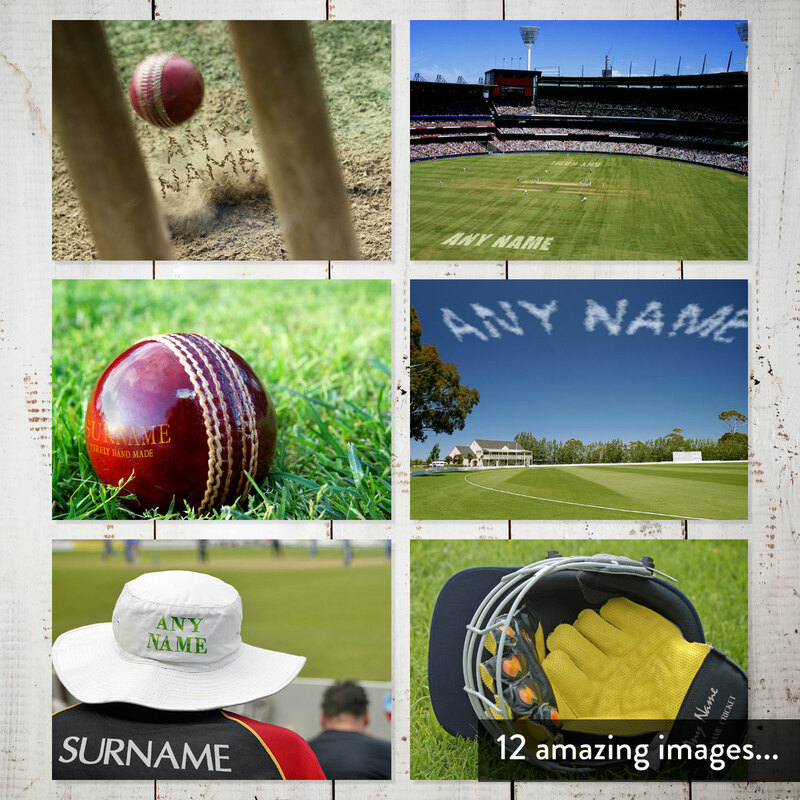 Turn the pages and see their name on a brand new leather ball, printed on the Batsman gloves and even displayed on the wicket stumps. 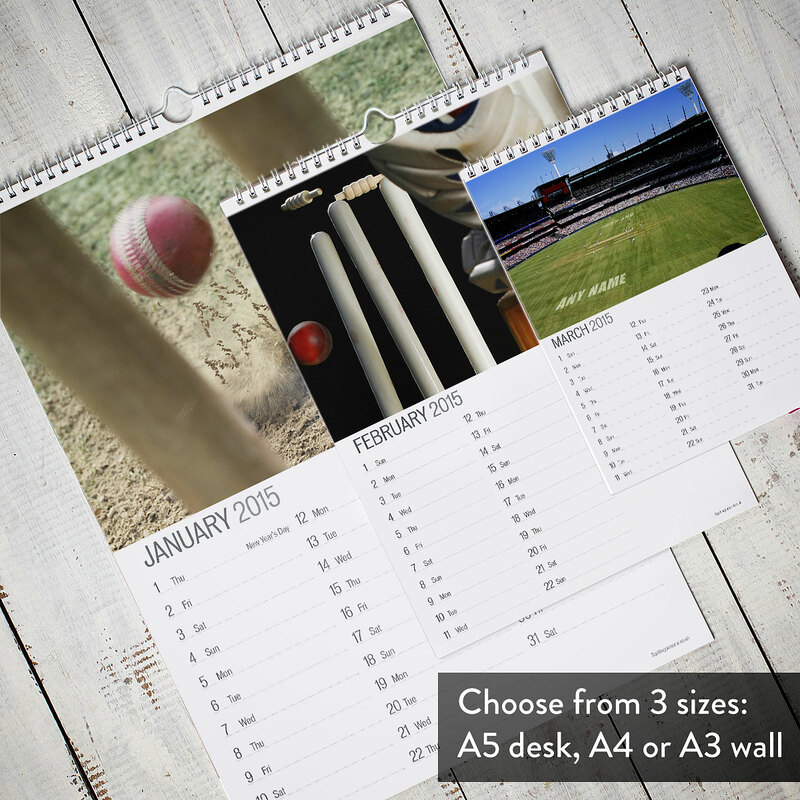 This calendar is available in a choice of sizes and can start in any month you choose.